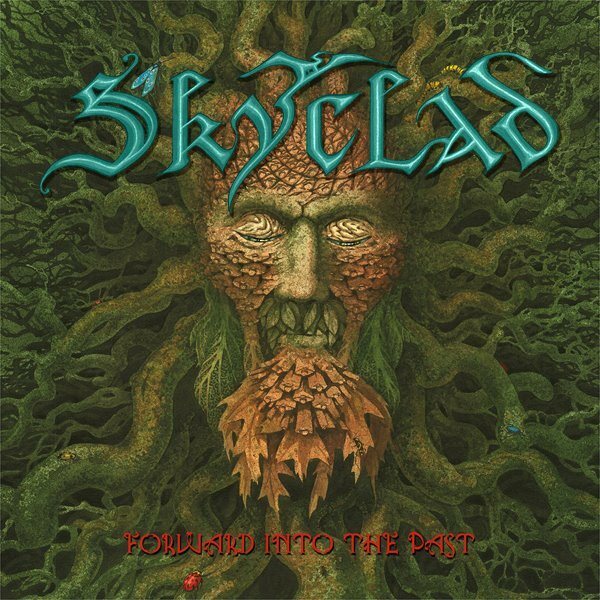 British heavy metal band SKYCLAD will release its thirteenth studio album, "Forward Into The Past", on April 28 via the French label Listenable Records. The follow-up to 2009's "In The… All Together" marks the return of guitarist Dave Pugh to SKYCLAD's lineup as a permanent member. 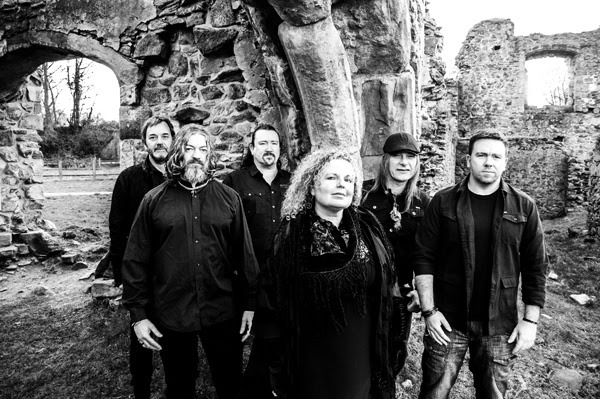 Since their inception, SKYCLAD have created songs out of a highly original and influential sound mixing heavy metal and traditional folk. Their lyrics have been generally permeated by political, social and environmental matters and the new album seems to be no exception, as vocalist Kevin Ridley comments: "The songs are about politics, the environment and the music business and so on. These are mixed with the standard SKYCLAD fayre of traditional bawdy/drinking type of songs and songs with blues and more 'ethnic' feels." The cover artwork for "Forward Into The Past" was painted by Duncan Storr, who has previously worked with EDGE OF SANITY, RAGE and HAWKING. The cover displays the mesmerizing face of a man made out of trees and branches. Ridley elaborates: "The 'green man' or 'storyteller' image used here is a traditional image (from Roman times at least in the U.K.) which is usually taken as 'showing the close interdependence between man and nature"
That natural feel is also largely expressed in the album production. "I think the new album sounds, warm, natural and 'real' (i.e. not processed or overproduced)," Ridley says.